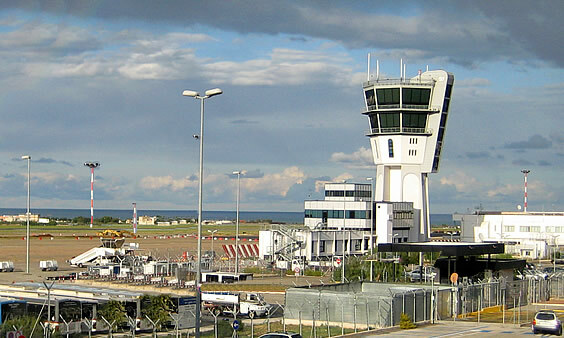 Passengers arriving at Bari Airport have an excellent transport option in car hire services. 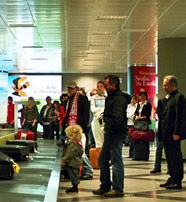 There are several rent-a-car companies that have their booking desks in the arrivals area of the passenger terminal and these include Thrifty, Hertz, Lacauto, Auto Europa, Win Rent, Europcar and Maggiore. These companies have websites and so you can also book you car in advance well before your outward trip to Bari Airport and thus have the car waiting for you at the airport. Car hire services are an excellent choice especially for people traveling in a group or a family. Accordingly, the information desks or the websites will help you choose the best vehicle that will address your travel needs. These vehicles come in all shapes including small cars, 4X4 jeeps, vans, convertibles, trucks, and so forth. They may also be equipped with handy accessories including GPS systems, luggage carriers, baby safety seats, etc. Only persons over the age of 21 can obtain car hire services and they should have a valid driving license. Nonetheless, people between 21 and 25 are required to pay a young driver’s surcharge and may not be able to hire certain types of cars including convertibles, specialty cars and certain large vehicles. These companies also have vehicles with special features to assist the disabled. A visually-impaired person can still hire a car only if he or she has a designated driver who holds a valid car license. Obtaining car hires for use within the Bari City streets is best left to drivers conversant with Italy’s narrow and confusing roads and which can regularly be congested with taxi drivers going about their business; it is definitely much easier to drive in the city’s outskirts. Drivers are advised to have their safety belts on all the time, observe speed limits, and not drink and drive whatever the case.